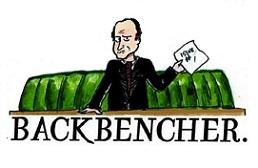 The Backbencher – What is happening to Michael Gove? What is happening to Michael Gove? James Snell comments upon the Secretary of State for Education’s ‘Jekyll and Hyde’ personality. Michael Gove is normally one of my favourite ministers. His principled stance on issues such as intervention in Syria, as well as his delightfully un-Tory, remarkably socially mobile background, drew me to him. However, this approval has been tempered by recent events. I was dismayed to read that he, taking a cue from the Global Warming Policy Foundation – a nakedly partisan group which denies the existence of climate change – has criticised ‘activist’ teachers turning their charges into ‘foot soldiers of the green movement’. This is not good news for any admirers of Gove, and not just because the veracity of man-made climate change is beyond any reasonable doubt. This intervention, when taken together with other recent instances, shows the Secretary of State for Education in a different, and more negative light. There is a suggestion, rather worrying if true, that Gove seems to relish political confrontations. Certainly, it appears that he wrings some pleasure out of clashes over ideological difference. The ousted head of Ofsted, Sally Morgan, said that Gove was in danger of becoming a ‘caricature of himself’ in what she sees as his desire to chastise the ostensibly ‘leftish’ educational establishment. Gove seems to relish political confrontations. Christening his educational opponents ‘the Blob’, after the 1958 film, probably didn’t help. It was a feat of broad-brush enemy-identification that vaguely amused supporters and simultaneously irritated his detractors. One such supporter is Telegraph blogger Toby Young, who, in his Civitas pamphlet Prisoners of the Blob, derives somewhat perverse satisfaction from the subtitle ‘Why most education experts are wrong about nearly everything’. These are not the words of a man, or indeed a faction, interested in compromise and respectful debate. It seems that Michael Gove, in his renewed, and almost certainly out of character, attacks on the perceived left-wing dominance in education, is attempting to sate the Daily Mail – a newspaper which employs his wife and will likely be his main supporter in the upcoming Conservative leadership election. This presents me, and those like me, with a serious problem. That, and his being in apparent possession of a reserve of self-belief so great that it caused even confirmed Gove-lover Anthony Horowitz to question whether the target of his admiration was becoming a ‘monster’, in a recent Spectator interview. 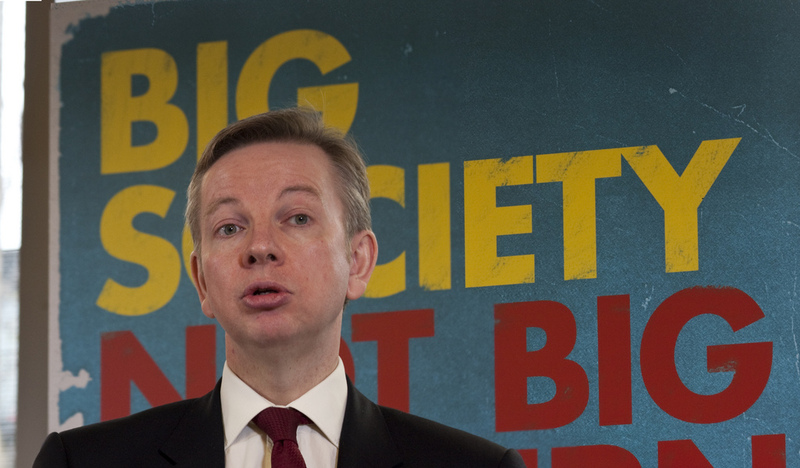 The worst thing about it is that Michael Gove has the potential to be a truly excellent minister. He is an intelligent man, who genuinely cares about his department and education in general. I can see no reason to indicate that he is motivated by anything other than the best of intentions. He is an intelligent man, who genuinely cares about his department and education in general. These very reasons make it so heartbreaking when the Secretary of State launches into a purely political scrap – when both his natural ministerial acumen and his evident passion for education are overcome by a desire to engage in petty political point scoring. This all represents a marked degradation in the nature of Michael Gove, and the way he does politics. It has been remarked upon before that he is a rather quiet, bookish man in private, and that these sorts of confrontations are out of character, to say the least. Rachel Sylvester, in an op-ed for the Times, wrote that there is a ‘complete mismatch between his public and private personas’. On the one hand, we have ‘Gove’: the scourge of pupils, the bane of teachers and sworn enemy of anyone with a slightly different view. And yet, on the other, we have ‘Michael’, someone who (as depicted in his wife’s deliberately, perhaps slightly cynically personal columns) likes The Smiths and a particular pair of ‘terracotta orange’ corduroy trousers. I am not suggesting that Michael Gove ought to begin his next political interview by perusing the most embarrassing depths of his wardrobe, or that Sarah Vine’s articles are even vaguely tolerable. It might be nice, though, for him to follow some of Sylvester’s advice, and ‘make peace as well as war’.